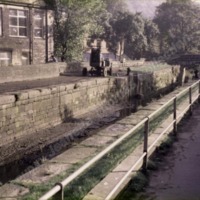 Work on the Rochdale Canal prior to its re-opening for navigation. 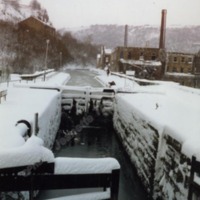 The canal is no longer navigable. 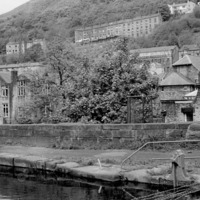 The rear of Central Street School is on the left, and the terrace of houses towards the top of the picture is Queen's Terrace on Heptonstall Road.